In the book of Genesis, when the Lord saw Leah was not loved by Jacob, He blessed her with children, and with each child, her hope for love from Jacob grew stronger. 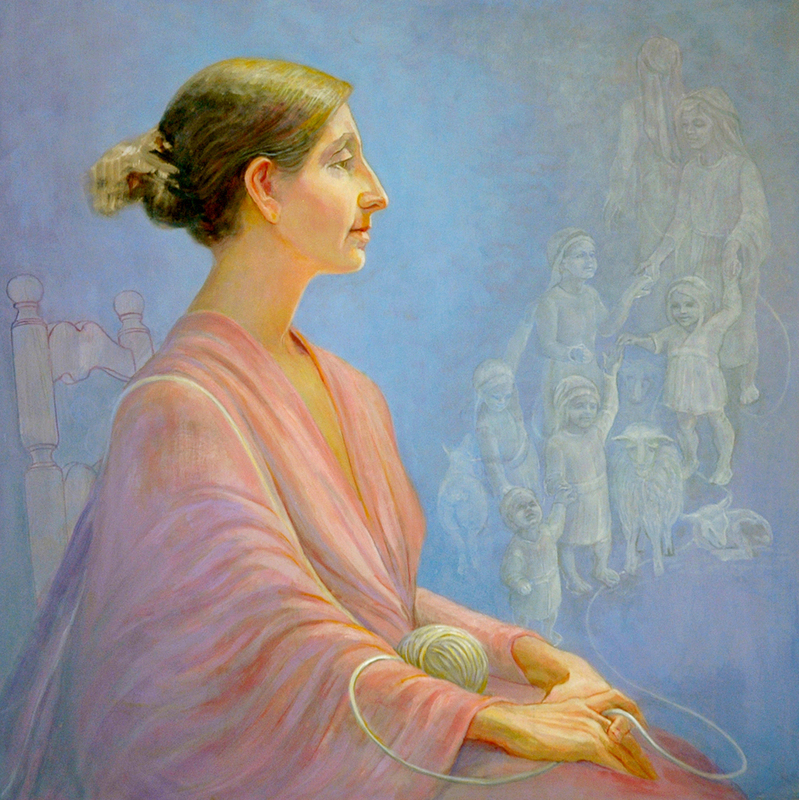 She winds the wool spun by her sister, Rachel, which encircles her children and leads them into the future as part of the tribes of Israel. 8" x 8"10" x 10"